Touristic: Am I Content with Pondering? 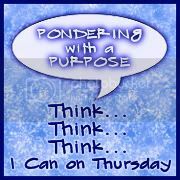 Am I Content with Pondering? Are you content or living your dream? Anyone who reads this blog knows that I am a pretty content person. I could be living in a refrigerator box under a freeway overpass and could find the bright side. That doesn't mean I do not strive to be a better parent, to provide my family with as best of life as possible or to try and personally grow (not physically but mentally) as I think the key to happiness is moving forward. There have been instances in my life that have tested me but I realized that with hard work, an open mind and a force of will, one can get through just about anything a better person as a result. I fully admit to myself and the world that I am not perfect (or even close to it) but I try my best to be as good of a person as I can be. I try to do the 'right thing' consistently and people know that, so I think that saves me a lot of grief. I am willing to fight the good fight in the name of justice. In doing so, others know my resolve is genuine and I keep my conscious clear as a result. I do not like to let injustice lie. I think I am living my dream because my dream is pretty simple. I do not need things or stuff. I realize what is truly important in life. Health, liberty and love. I want to be a good person who tries to make a positive impact on the world. I let myself be an open book but I am choosy as to who I let into my world. I look to surround myself with people who make positive contributions. I am still working on talking less and listening more thus choosing my words more carefully and trying to give them more meaning as a result. I am working to develop my intellectual and emotional range. In summary, I am working to enhance my dream, not achieve it.